LEDs in automotive front lighting enable energy savings, new light designs and applications such as matrix beam and laser high-beam. 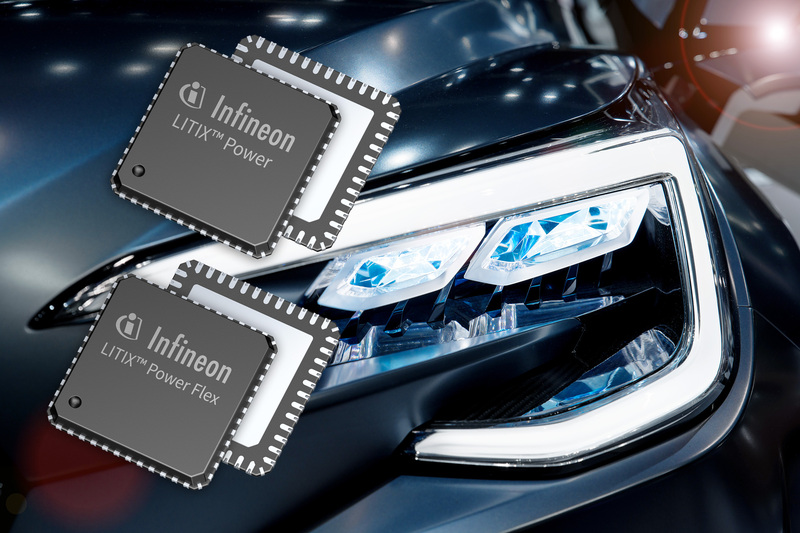 Supporting the progress in automotive lighting Infineon Technologies AG launched high-power LED drivers specifically designed for automotive front lights. The drivers are available within the new LITIX Power Flex series and the LITIX Power series. They address flexible DC/DC driver solutions supporting LED systems of up to 50 W and even above. 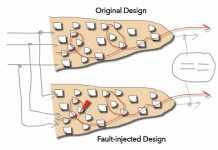 Application setups can vary: many medium-power LEDs with string voltages of up to 55 V or few LEDs with high currents of up to 3 A and more. Both LED drivers, the LITIX Power Flex TLD5541-1QV and the LITIX Power TLD5190QV, are well-suited for high-power and high-current LED applications. These include for example front lighting, laser and LED headlamps. They also suit high-efficiency supplies for LED applications working on battery voltage. Furthermore, they allow cost-optimized full-LED front light applications for cars and even motorcycles with their space limitations in the handlebar’s headlamp. The TLD5541-1QV is a first available member of the new multi-topology DC/DC controller family LITIX Power Flex. The synchronous H-bridge DC/DC controller is ideal for driving all high-power LED configurations with maximum system efficiency of well above 92 percent. 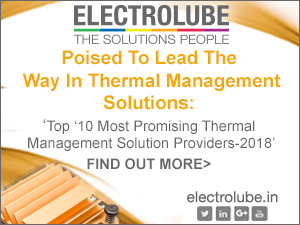 This results in higher reliability and improved thermal behavior and reduced PCB size. 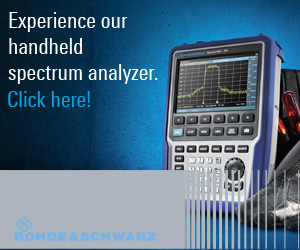 Thanks to its optimized spread spectrum switching frequency, the TLD5541-1QV helps reduce EMC emissions to fulfill challenging EMC requirements like CISPR 25 class 5. 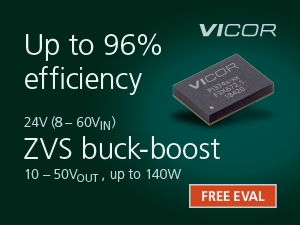 The TLD5541-1QV features seamless buck-boost regulation and fast dynamic load jump behavior. Therefore, it enables cost-optimized LED headlamps with complete protection and diagnosis features. Just one TLD5541-1QV can drive two and more separately switched LED loads in one string, with up to 55 V string voltage. The LED current accuracy is specified with +/- 3 percent. The TLD5541-1QV with built-in protection features and SPI interface offers both analog and digital (PWM) dimming. The switching frequency is adjustable in the range of 200 kHz to 700 kHz. The adjustable soft start feature limits the current peak as well as voltage overshoots at start-up. The LITIX Power family of DC/DC converters and controllers targets medium-power to high-power applications. These comprise LED daytime running lights and LED low-beam and high-beam. The new family member TLD5190QV is a synchronous H-bridge DC/DC controller with similar features as the TLD5541-1QV. Without SPI interface it particularly suits LED control electronics where no microcontroller is needed, while it is easy to implement. 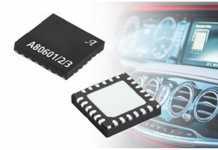 The device also offers integrated protection functions, both analog and digital (PWM) dimming and an adjustable switching frequency in the range of 200 kHz to 700 kHz. The synchronous H-bridge DC/DC controllers TLD5541-1QV TLD5190QV are already in volume production and available in VQFN-48 packages. Both LED drivers are suitable for use in harsh automotive environments and specified according to AEC-Q100. Infineon supports the design-in with demo boards, data sheets and PSpice simulation models.